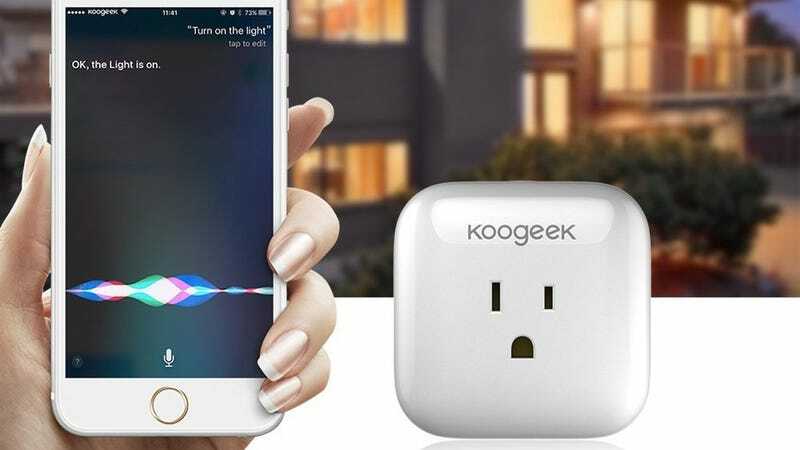 Smart outlet switches like Belkin’s Wemo and TP-Link’s Smart Plug are a widespread gateway drug to home automation these days, but Koogeek’s affordable alternative is designed with Apple users in mind. The features here are pretty much exactly what you’d expect. You plug the switch into an AC outlet, plug in some sort of appliance with a manual on/off switch, and sync it with your phone. From Koogeek’s free app, you can turn the device on or off, set schedules, and even monitor energy usage in real time. So why buy this switch instead of the better-known competitors? Apple HomeKit support. That means that you can name your device (“bedroom lamp,” “office AC,” etc. ), and control it from Apple’s new Home app in iOS 10, your iPhone’s Control Center, and even with Siri. So if you own some Philips Hue lights, a smart lock, and a few of these switches, you could mix and match all of them into scenes within Apple’s own app, and command them en masse with your voice, rather than opening three different apps. The best part? You don’t really have to pay an Apple Tax to get this thing. 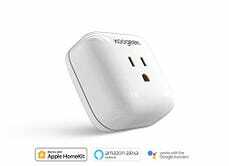 At $35, it costs the same or less than the WeMo Insight Switch and TP-Link Smart Plug with energy monitoring, and while those will both work with IFTTT and Alexa whereas the Koogeek does not, that shouldn’t really scare anyone who’s fully bought into the Apple ecosystem.